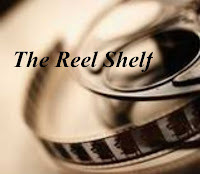 There are some interesting projects going on in the book and movie worlds in the upcoming months. A lot these tidbits are brand new to me and some of which I learned earlier this week. I found them interesting and thought I would share the knowledge. Clare has also released a Youtube video indicating what will not happen in City of Fallen Angels. You can see that video here. Thanks to Linds@bibliophile brouhaha for the heads up! 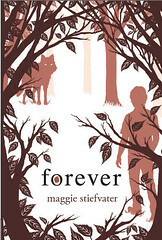 Speaking of Valentines Day, Maggie Stiefvater will be releasing a video of her reading the first few pages of Forever on her Facebook page at 12 PM EST. Don't worry if you forget the date, it will stay up indefinitely. Earlier this week, there were rumors floating around that L.J. Smith was fired by HarperTeen/Alloy and will no longer be writing any Vampire Diaries books. The author confirmed this information midweek. You can read her reactions here. I, personally have not read the books, but I am addicted to the TV show. The Vampire Diaries TV show fans can rest assured that the show is not in danger of being cancelled since the tv series is following a different storyline than those of the books. The upcoming book The Return: Midnight will still be published and released in March. Stefan’s Diaries are series related books and was not written by L.J. Smith. Deadline has reported that Selma Gomez will play Hannah in the film adaptation of Jay Asher's phenomenal debut novel 13 Reasons Why. From what I know about Selena from her work at Disney, she seems a bit too nice to play Hannah, but I can we'll wait and see. I'm actually more interested in who will play Clay. According to Cinema blend, Emma Watson (Yep, Hermonie for you HP fans) and Logan Lerman (he played Percy Jackson from Percy Jackson and the Lightning Thief) will be starring in a film adaptation of The Perks of Being a Wallflower. Author Stephen Chbosky will be writing the screenplay as well as directing the film too. I didn't care much for the book, but I know many of my students who adore it and I'm sure will be looking forward to the movie. Deadline reports Ralph Fiennes, who in my opinion is a fantastic actor, will direct his very first film, Coriolanus, which is a contemporary adaptation of Shakespeare’s classic play about the titular Roman warrior. The movie also costars Ralph Fiennes, Gerard Butler, Vanessa Redgrave, Brian Cox, Jessica Chastain and James Nesbitt. Shakespeare + Fiennes + Butler = A must see movie! You probably are well aware of the upcoming Red Riding Hood movie that Catherine Hardwicke is directing as well as two ongoing projects on adapting the Snow White fairytale, but did you know that there will also be a retelling of Jack and the Beanstalk? I didn't. Deadline reports that Nick Hoult, known mainly from his role on BBC's Skins, will play Jack in a "scary revisionist take on the Jack and the Beanstalk mythology". Bill Nighly and Stanley Tucci costar in the film too. Deadline is also reporting that Deepa Mehta known for her Earth Trilogy (Fire, Earth, and Water) is currently directing a film adaptation of Salman Rushdie's controversial novel Midnight Children. Coming Soon: A Cornucopia of Dystopia Blog Tour! L.K. Madigan Book Giveaway Winners! Author Interview + International Giveaway! Awesome Live Author Chat Tonight!